We give you your Best Holidays! 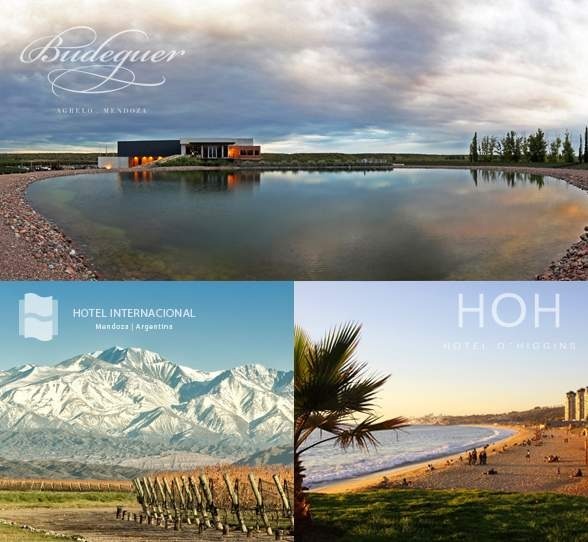 Arrive in Mendoza to stay at the Hotel with the best location in the city. Take the Route 15 that crosses the Vitivinicola Region where the best Malbec of the World reigns, Lujan de Cuyo, to visit Budeguer Winery. Dinner at the Santa y Pecador Restaurant, a space dedicated to the cult of Olive Oil. and Already in Viña del Mar, stay at the largest and best located Hotel of the V Region. the rest we leave in your hands.